Pupils are encouraged to listen extensively to recordings of the music they are learning as well as to other good classical music. I have myself recorded suitable teaching pieces and pass the CDs to my pupils as they become ready for them. 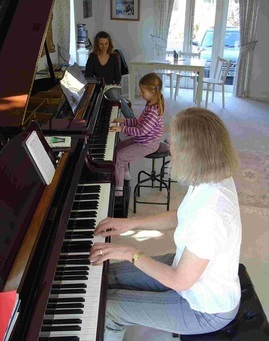 Book recitals are presented by each pupil on completion of each book of the Suzuki repertoire. These are typically hosted in the pupil's home, and are followed by a celebratory tea with home-baked cakes! All my Suzuki families are invited, and they have all come to know each other well. 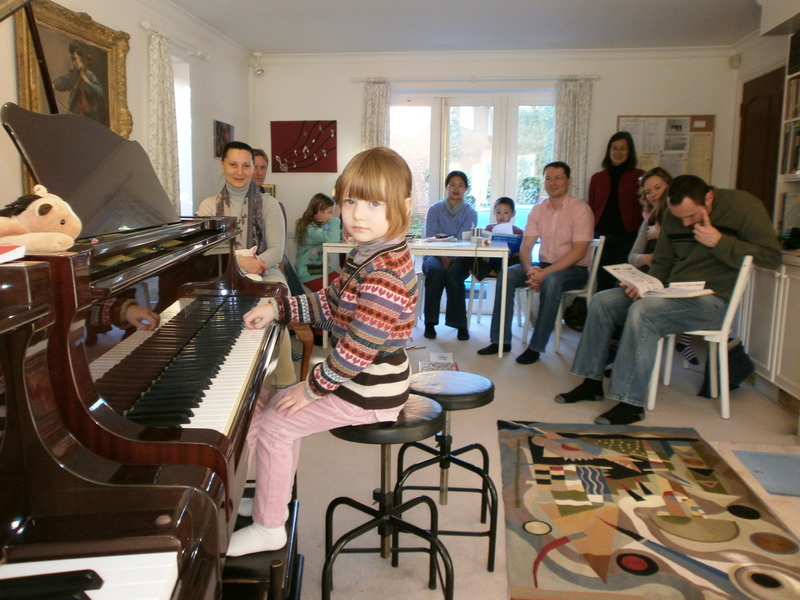 I arrange termly concerts, either in my teaching studio or in a hired hall, sometimes with other music teachers, and always including a tea party (more home-baked cakes!). We hold a biennial Playathon. About once a year I arrange for a distinguished teacher to run a workshop or masterclass with my pupils. Teachers have included Andrew Ball, William Fong, Michael Young, Paul Harris, Penelope Roskell, Heli Ignatius-Fleet, Ilga Pitkevica, Jonathan Jones, Kevin Smith, Caroline Fraser, Kristinn Orn Kristinnson, Caroline Gowers, Kasia Borowiak, Sue Bird and Beate Toyka. 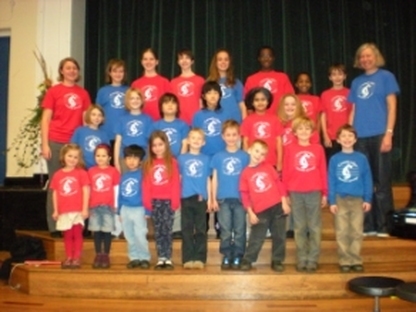 Pupils participate regularly in national Suzuki events. Most of my recent pupils hold music scholarships at their local schools and/or have passed grade 8 with distinction. Several pupils are now studying at the Junior Departments of the Royal College of Music, Royal Academy of Music, Guildhall School of Music and Trinity Laban. Other pupils have gone on to study at the Purcell School, at Oxford and Cambridge universities, and as an undergraduate at the Royal College of Music. I have taught children and teachers at Suzuki workshops in the UK and also in Ireland, Belgium, Holland, Italy, Spain and Norway.